Heechul and Kangin of Super Junior, and Jay and Jungmo of TRAX form a “tribute band” to not only perform music by classic pop artists but to also explore the history about the band, their personal lives as well as the influence of their music. 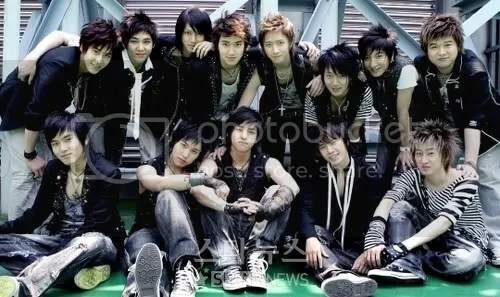 A variety game show where the members of Super Junior (with the exception of Hangeng, Heechul, Kibum, and Siwon, who weren’t directly in the show but had cameos) could create and produce their own mini-dramas for themselves to star in. The members split up into two teams: Prince Team or Pearl Blue Team and play a game in the beginning of the episode to determine who exactly got the reward for the drama or who got the punishment.